More than €2bn was wiped off Irish shares yesterday, with the Iseq index hit hard by a double whammy of global jitters over trade, and continuing fears of a hard Brexit. The index lost 2.5pc, with a host of big names including CRH and Smurfit Kappa losing ground. Bigger companies carry more weight on the index - so a bad day for CRH is enough to have a substantial effect on the Iseq's value. Markets had rallied worldwide a day earlier, after news that the US and China had agreed a 90-day ceasefire in their trade dispute, with no new tariffs to be introduced in that period. 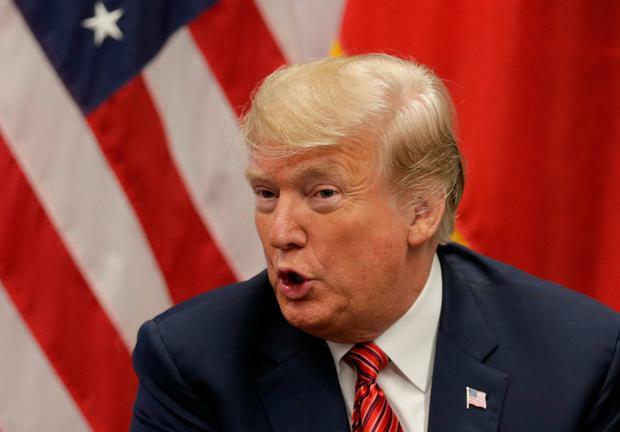 US President Donald Trump tweeted afterwards that China had agreed to "reduce and remove" tariffs on cars imported from the US. But yesterday his economic adviser Larry Kudlow said in a television interview that the White House doesn't yet have a deal with China to reduce tariffs on US-made cars. Alan Breen, senior stockbroker at Cantor Fitzgerald Ireland, told the Irish Independent investors had been looking to shed risk yesterday, with Government bonds - seen as safer assets - in demand. He said that despite a strong performance by markets on Monday, many of the big Irish names had failed to advance as part of that. "I'd say there's still a negative perception on Ireland against the backdrop of Brexit ... there's no major reason to take on the Irish story per se against this backdrop."